Had a bit of an “Asian Celebration” over the past week. Traveled to Japan, primarily for Chinami’s birthday event, but as things unfolded there were a couple of other H!P related things I was able to go to; namely, the Hello! Project Premium Live at Hibiya Yaon and Berryz Kobo Festival in Taipei. Some comments follow. I wasn’t initially aware that this would be going on until after I booked my trip. Luckily I was able to catch it early enough and snag some decent tickets. Not the front row mind you, but one or two rows back put me in a nice spot for both performances that day. As soon as the girls came out, I had to establish my presence with Chinami. “Chinami,” I shouted and waved as she acknowledged. Well that was easy, heh. (Check Chinami giving a wave to her left in the hello station video). The other girls, you could kind of tell that some of them were surprised to see me. I had met a good majority of these girls at the festival back in November ’11, but there have been a lot of new faces since then as well. One general note about the performances, it took a little while to get up to speed on how to dance along and such with most of the non Berryz stuff. Even though I wasn’t all into it some of the time, it was still a lot of fun. Up first was the “Eggs.” I know at least one of them recognized me from the Berryz concert. Nothing much to report on them other than to say, they put on a good show. Next up was Juice=Juice (with the Eggs), performing a new single. After which the Eggs would part and leave the stage to the Juice. I’ve enjoyed Juice=Juice’s singles thus far, but I’ve been a little bit put off by their MVs. A word I’ve used to describe them before is “spastic.” I don’t know, their choreography just seems a bit twitchy. That said, as what tends to happen after seeing a live performance, my opinions change a bit. It was much nicer seeing them put on a show up close. The dance seemed less spaz and a bit more snappy, still maybe a little bit much, but enjoyable. One girl stood out to me, Takagi Sayuki. Fun to watch. Next was S/mileage. Cute outfits, yeah. Their songs I’m a lot more familiar with than the previous two acts and so was able to get involved a little more. The stand out girl in this performance was Akari. Her energy, her dancing ability, she put a lot into her stage presence. Really, just contrast her with the other girls, and she is a star. She may have stood out too, because I have a thing for girls with short hair I think, heh. Dawa was fun to watch too, I’ve liked her a little more since meeting her a while back, she had a nice manner towards me and I guess that’s just stuck in my mind. Her voice too, I like it. C-ute was up next. No stand out girl here really, they all did a fine job, though I will give props to Chisato during the talking points. Well she’s got the skill for it, stage presence, good job there Chisa. As much as I like C-ute, and for as long as I’ve been listening to them, enjoying their music, videos and what not, I found myself still not going all out and getting into it. Perhaps more than the performances up until that point, but nothing compared to the level with Berryz. I guess that’s really not all that surprising though is it. My first H!P concert was a joint concert with all of the groups preforming; it was special though in that it was also the one that introduced all of the revived shuffle groups. I bring this up to say that, when one or another group performs, you can totally tell in the audience those who were there to see their respective group (the shuffles I mentioned, kinda messed that up, but I’ve heard reports from others that the regular Summer/Winter concerts seem to go that way). I can relate to that. While I do enjoy the music and do try to keep up with all of the H!P goings-ons, I’m very much a Berryz wota in the end. Next, Aika. Good hair, that is, she covered up her forehead a bit, heh. Didn’t like the way she had been wearing her hair for a time, so that just stands out to me. I’m a bit torn in whether Aika is too cute, or too “granny” as someone I know had a habit of calling her. Anyway, she did pretty well with her one song. 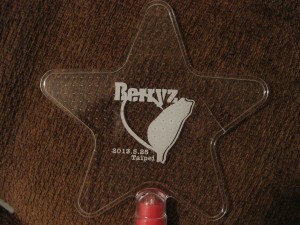 Berryz were next. Of course Chinami was the girl who stood out for me this time. First time getting to see their new single too, was fun trying to learn the music and choreography on the fly (in a way similar to the performances by the other groups I was less familiar with). This was my first time seeing Tsunku, he had walked around shortly before the live started, so it was expected he was going to make an appearance on stage. The whole Budokan thing, no comment really. Captain Crying, I believe she admitted recently that she is a bit of a crybaby, even knowing that though, I don’t like to see her down. Morning Musume finished up the individual group performances. Good stuff from the flagship group I’d say. I’m a little ashamed to say that I tucked away my orange glow stick during the evening performance when MM took the stage. I like Kudo and all, but I didn’t want to send the wrong message, you know? If I had to pick one stand out girl in this group, it would have to be Zukki. I just found myself going back to her over and over again. She puts in a good effort. Overall fun times. I’m glad I was able to see the whole of H!P again. Not much to say about this other than I had a great time of course. My seats were a little far back, but I still got in some good Chii time. Chinami’s English started things off, as she explained the English she used in the event name, and then translated the Japanese subtitle into English. Among the songs she performed, I was glad to see Mou, Kodomo Janai Watashi Nano ni in there. That song is Chii’s song, yeah. Koi no Telephone GOAL was another fun one. Can I just say, love Chinami’s voice. She’s so much fun on stage, so having the night to herself, it was very entertaining. Got to the airport a couple hours early to greet Berryz as they arrived. There were probably about 20 or so people there (for Berryz) already when I got there; maybe about 50 by the time Berryz showed up. The girls looked good. 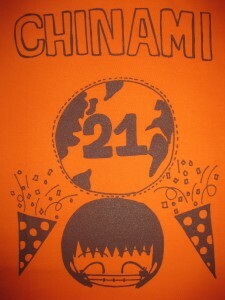 Curiously though, Chinami was wearing a shirt that said “BLACK” on it. I found that to be interesting. I was hoping Chinami would have worn her “BLACK” shirt at the handshake later that evening, I wanted to ask her about it; I guess I could have said something anyway, but it slipped my mind, heh. Just thought it was kinda random to have on a nice shirt like that, with the text displayed across it. Random English words aren’t really all that uncommon in some fashion though, hmm. For the handshake itself, nothing too eventful. I was up front and on Chii’s side of the stage when they came out and introduced themselves, so I immediately stood out. As they settled, Chinami looked my way and said something to Maasa who was beside her, not sure what that was about, hmm. Some good interactions with Chinami, and the other girls too throughout the event; stealing smiles and waves when there were gaps between the handshakes. Chinami really played to the crowd in general, she was really enjoying herself. 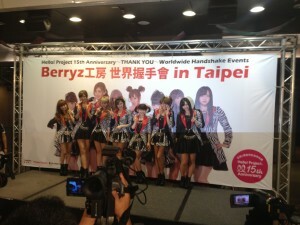 The next day, Berryz’ time in Taiwan was covered in a couple of newspapers. Interestingly, one used a picture of me getting a handshake, generically captioned. I found it amusing, as did some people who pointed it out to me, that of all the pictures they could have chosen to showcase Berryz in Taipei and Taiwanese fans, they chose that one. I got a good ticket to the concert, so I was able to stand front and center. We were really close to the stage, more so than what I’m used to back in Japan, and so my spot allotted me some nice Chii time. “Chii time,” a lot of that over the past week, yeah. One part that really stood out was during Asian Celebration, during the Chii/Maasa section. Chii was at the front of the stage, right in front of me, we locked on to each other, smiled and did the little lean in and shimmy together. I’ve said it before, but little things like that are just too awesome; and there were many other little moments that night. After the concert, we had a high-five. “Geoffrey-san,” Chinami called out to me as I approached the table. I was actually a little surprised by that, as I usually refer to myself as “Kentucky.” A good ending to the trip, saying my goodbyes and thank yous to Berryz, until next time.